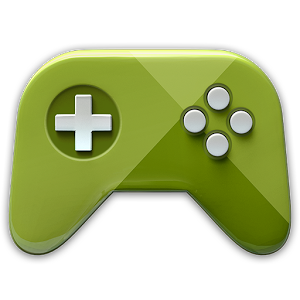 Today the Google Play Games app has made the big jump from version 1.1 to 1.5, and there are quite a few new features tucked away inside that may cause you to hit its icon in your app tray a little bit more often. Let's dive in. 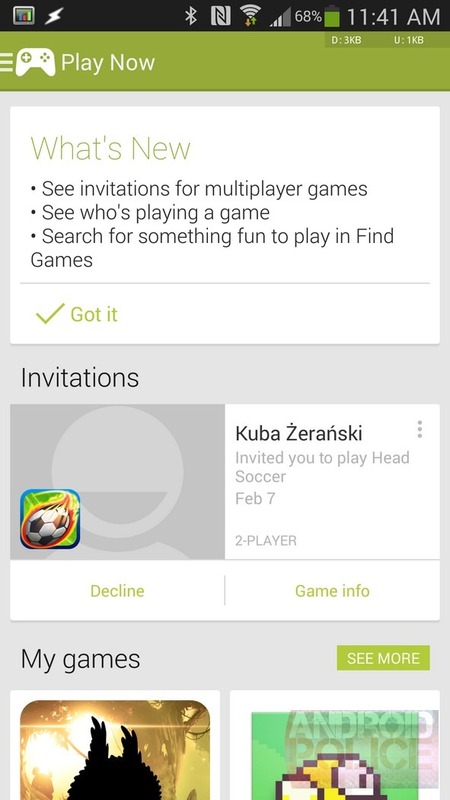 The previous version allowed you to join multiplayer games from within the app, but the latest update introduces the ability to view invitations as well. 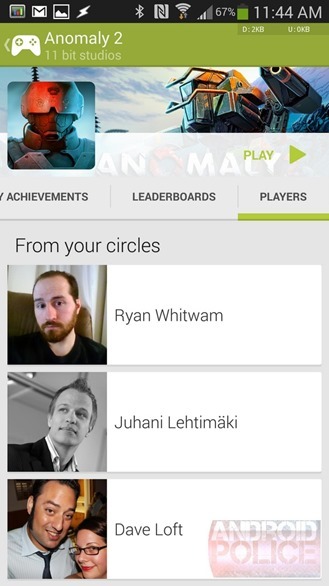 To go along with that, you can also see which people in your circles are playing what. 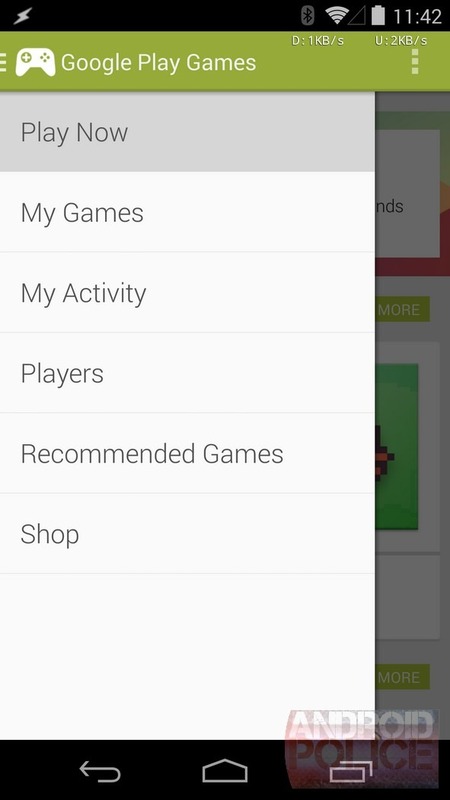 Settings have moved from the Action Bar to the sidebar, which has also morphed quite a bit in other ways. 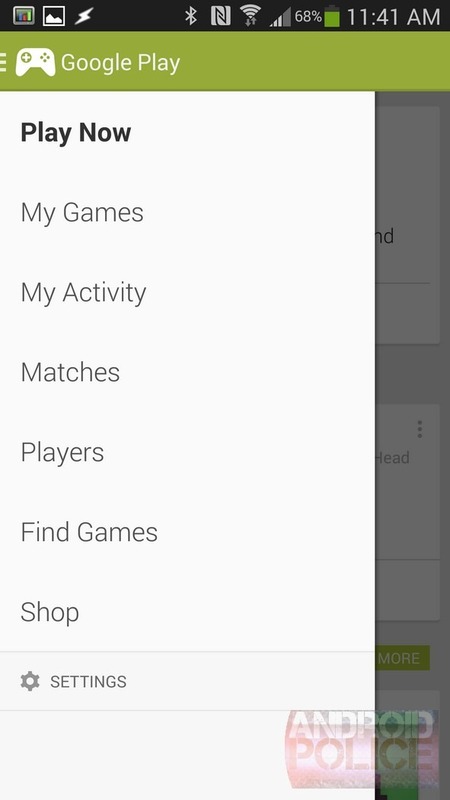 There's a new item called Matches (which lists your invites), and Recommended Games is now called Find Games (though, for now at least, the actual tabs are the same). 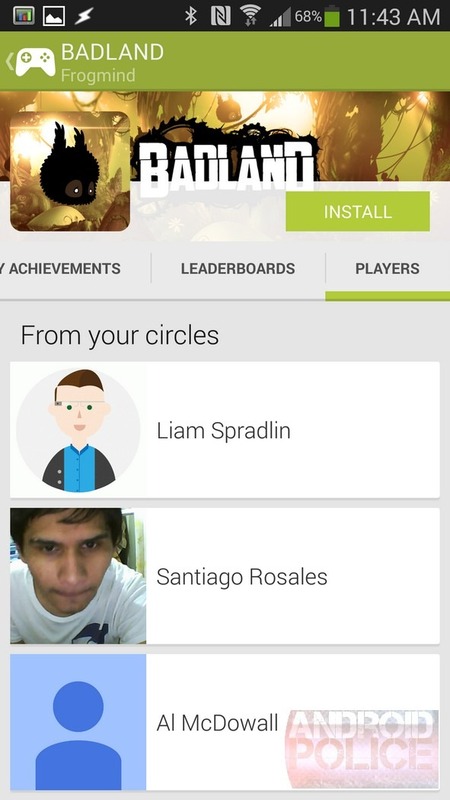 You can see all of these changes by comparing the old version and the new version below. 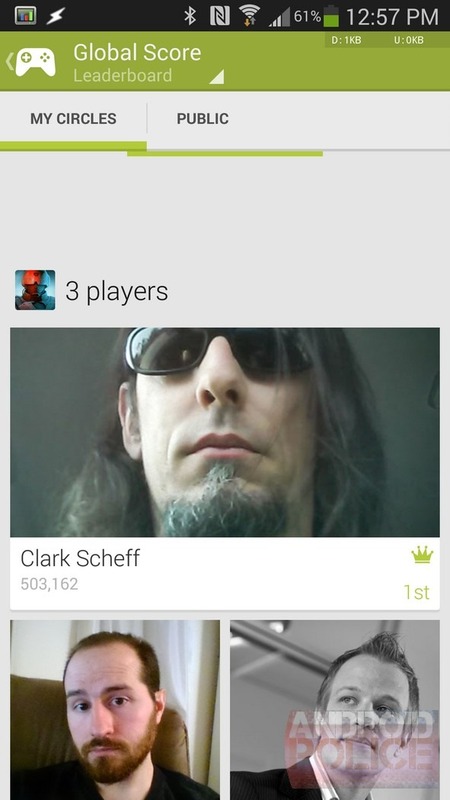 Update: Pull-to-refresh now works for the app's leaderboard. Google takes its time with these updates, so here are several mirrors to speed things along.